Homelessness is the easiest problem in the world to solve. Alcoholism. Mental illness. A myriad of diseases. Sadly, these are problems our society grapples with and there are no final answers on the horizon. But the solution to homelessness can be stated simply – just provide housing cheap enough where virtually anyone can afford it. Okay, that’s not going to happen. We’ve decided as a society that making money for some precludes shelter for everyone. It’s not a conspiracy that was carefully planned behind closed doors. It’s just the way our system works. Everyone knows that homelessness is a growing problem in Seattle. Recently the annual One Night Count reported a 19% increase from last year, of those sleeping in vehicles, doorways and tents in the greater King County area. The grand total of 4,505 counted doesn’t include those who sleep in shelters. There’s growing evidence that affordability is becoming a root cause of homelessness along with alcoholism and mental illness. According to the Journal of Urban Research, for every $100 increase in median rent, homelessness rises by 15%. In Seattle median rents went up by over $300 from January 2013 to December 2015 (for those who never took a statistics class, the median means that roughly half of the population pays above that rent and 50% pay below that number. Median is often a more accurate representation than a mean average). Median rents in the United States are $905. According to Rent Jungle, just a one-bedroom apartment in the Seattle area goes for a median rent of $1590 a month. 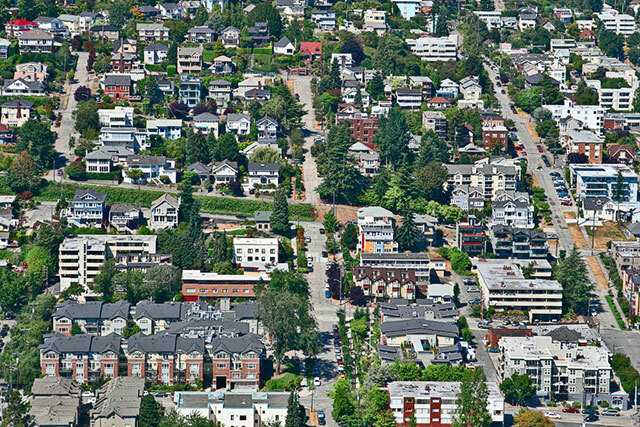 Seattle is a wealthy city, experiencing an economic boom. But it’s not booming for everybody. Sadly, Seattle’s homeless find themselves caught in the middle between yuppies, who can afford high-end living space, and NIMBY’s (Not In My Backyard) types, particularly in the northern part of the city. Recently, at one neighborhood forum, residents complained about people living in cars and RV’s parked on their street, blaming that group for the crime and litter in the neighborhood. Some residents complained that RV’s are being used as some sort of traveling meth labs. In Ballard, a merchant squirted a hose on the belongings of homeless people sleeping on the street. As usual, that led to conversation on blogs and talk radio about whether Seattle is becoming a more hardened city. In the early 2000’s there were several people living in cars and trucks in South Lake Union — before Paul Allen turned that area into his private playground. Cars could park near factories and parks, and the younger, artsy types, who lived in the neighborhood generally weren’t bothered by their presence. A nearby Lutheran church allowed cars that people were living in to park in their back lot while street people were welcome to shower in the basement gym locker rooms. There was also a dead-end street in the U District, not far from the football stadium, where people lived out of their cars. Reportedly, on at least one Thanksgiving, people living in nearby houses brought them food. However, times change and the homeless population continues to grow. One way the homeless were screwed by the neighborhoods occured last year. Seattle Mayor Ed Murray convened a homeless committee that produced a plan called The Housing Affordability And Liability Agenda (HALA). While the plan proposed more low-income housing in the city, Murray rejected the proposal that would allow multi-family apartment buildings in single-family zones, an appeasement to neighborhood activists. Yet, about two-thirds of the city remains zoned single-family, preventing density in those areas that could help lower housing costs. In this environment, Murray declared a Homeless State of Emergency. Currently, Seattle’s asking the state legislature for $10 million from the Housing Trust Fund. However, the city’s not optimistic about getting help from Olympia. The rest of the state seems willing to let Seattle take care of the homeless so it doesn’t have to. On the local level, the city has provided two lots where people can live out of their cars and vans, with more to follow. This comes on the heels of the addition of three new Tent City sites. But there’s the ongoing problem of unsupervised encampments like “The Jungle,” which generate bad publicity and public ire against the homeless. There’s also a bigger question here – as a society are we beginning to accept homelessness as inevitable? Homelessness gradually died out starting in the 1930’s, starting with the New Deal, up until the 1980’s when so-called “trickle-down economics” began along with drastic cuts in mental health. Personally, I never saw a homeless person growing up in Rhode Island (it is a small state) until I was a teenager in the 1970’s. Mayor Murray and some City Council members rightly changed their minds about Tent Cities realizing that without these encampments -that are supervised by groups like Share/WHEEL – more people would be roaming the streets and living in an unregulated, sometimes dangerous, environment. But are Tent Cities and overcrowded shelters the best that we can do? Last week the City Council voted to spent $2.3 million on shelters for homeless families and couples to stay together. With costs rising, it would make sense to just give homeless people the money to rent an apartment: instead of Guaranteed Income, Guaranteed Shelter. It’s already been tried to some extent. In 2006, Utah began a Housing First program and built apartments for 1,914 of the state’s chronically homeless. Many were mentally ill or addicted to drugs and alcohol. The state figured the annual cost of emergency rooms and jail was approximately $16,700 a person, compared to $11,000 to provide each homeless citizen with an apartment and a social worker. And technically the housing isn’t free. Residents pay $50 a month or 30% of their income if they can work. As a result, homelessness has mostly been eliminated in Utah. Call me a wild-eyed optimist, but homelessness can be ended. If the will is there.